If there was any good news from this year’s Oregon legislatve sessions, it is this: Lawmakers failed to advance any of the attempts to weaken the taxpayers’ protections against even bigger jumps in the property tax. Proposals along that line were introduced. All of them were amendments to the state constitution that would have required approval of the voters. But voters won’t have to worry about any of them, because they all died when the legislature adjourned last week.. In the House, for example, HJR 20 proposed to revise the constitution so that local option levies approved by local voters would be outside the tax rate limits set by Measure 5 in 1990. 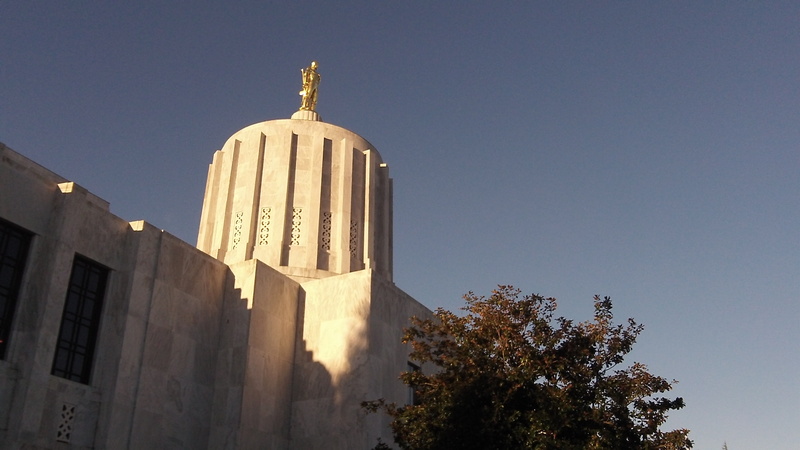 Another, HJR 23, proposed to allow school districts to impose local option taxes of up to $2 per thousand, also in addition to the Measure 5 limits. In the Senate, the tax committee sponsored SJR 27, which would have asked voters to repeal the property tax system created by Measure 50 in 1997. That’s the measure that set permanent tax rates, lowered taxable property values and limited the increase in values to 3 percent a year. Hear, hear! The current system is an unmitigated disaster IMO! A locked-in reduction in property taxes to match the revenue from an across-the-board sales tax is what is needed. I’ve been saying that for a long time now. Why should just property owners have to foot the bill?? Yes,enjoy this small victory for property taxpayers. But the attacks on tax limitation will return in future sessions. And if the Democrats gain super majorities in the state house and senate, hold on to your wallet. I see dark clouds ahead. Philosophically, taxing the goods and services I consume is better than taxing the property I own. But I’ll withhold final judgement until I can see the devil in the details of any proposed swapping scheme. And we should never have a conversation about feeding the beast (taxes) without an equally rigorous debate about starving the beast (spending cuts). Well Ray, successful landlords collect enough rent to make mortgage payments, pay property taxes and perform necessary maintenance.